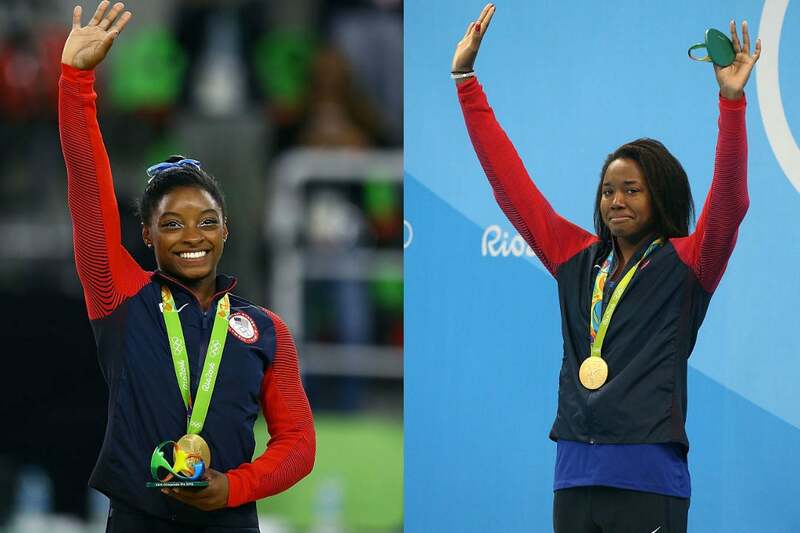 It’s no secret that Simone Biles, 20, and Simone Manuel, 19, made history during the 2016 Olympic Games this week when they won gold medals. After taking home gymnastics’ Olympic first place titles in both the team and individual all-around events (Biles) and becoming the first Black woman to win a gold medal in an individual swimming event (Manuel), Team USA’s beloved Simones decided to celebrate their moment on the record with a selfie. Because, of course, if it’s not on social media then it might as well have never happened, right? Biles shared a picture of herself and Manuel glowing with smiles and an accompanying caption saying “Simone x2” and all of Twitter melted. But Biles and Simone aren’t the only ones proud of their accomplishments. Celebrities across the country are singing their praises, including our very own First Lady, Michelle Obama. Talk about #BlackGirlMagic! These ladies have certainly done it best.